I have never been one for sports or exercise. I am abysmal at sports. I am always the last person chosen to be on a baseball, soccer or volleyball team. The WAY, WAY outfield is a place invented especially for me. I am the only person I know who has broken a finger playing soccer. Who knew you weren’t supposed to catch the soccer ball? As for a baseball, as soon as I see one freewheeling toward me, my tendency is to duck rather than hit. Football? I am not one for joining groups and am, therefore, completely disinterested in being part of a football huddle. As for regular exercise, I have had hard time summoning up the disciple necessary for maintaining an exercise regimen. I’ve joined gyms that have only seen me on sign-up day. I have stacks of stretching, dance, cardio, Pilates, isometrics, flex band and yoga videos, CDs and DVDs plastic wrap intact. Now yoga I do like. Unfortunately, most yoga classes in my area are scheduled for mother’s hours. I wonder if I unconsciously knew that? What better excuse not to do yoga than I have to be in work between 9 and 10 am on Tuesday? What can a girl do? I tried, I really did. 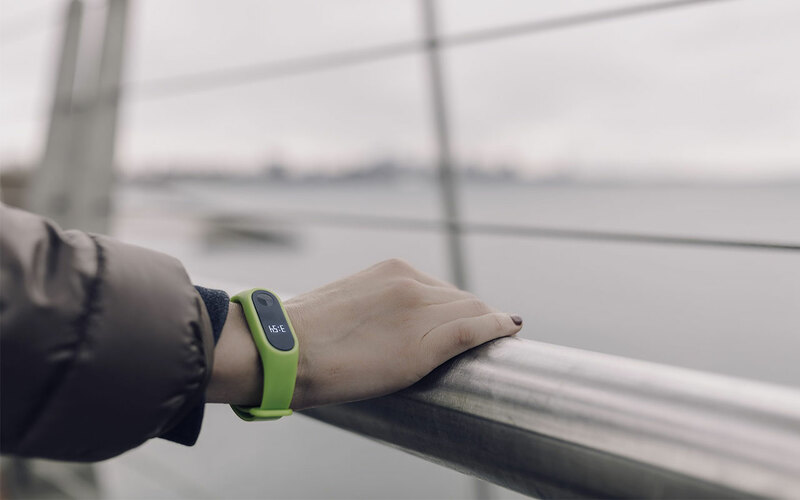 Three years ago, Tocci offered to share in the cost of a FitBit for any employee interested in step tracking for fitness. At age 61, with gravity pulling, tugging and bearing down hard from elbow to stern, I had been aware, for thirty or so years, that I should be doing something physical. When the offer was announced, I thought “hey, how hard can walking 10,000 steps a day be? Gosh, I must get in at least 2000 steps shifting from bed to shower in the morning. Right?” And so, it was done. A FitBit was ordered. A FitBit came in the mail. The first day that I wore my FitBit, a beautiful day in May 2015, I was stunned at how inaccurate it was. What a scam! My daily routine was netting less than 3000 steps a day? Outrageous, can’t be! I tested it. Yup, it was measuring accurately. The truth is, I was sedentary. So, I tried for 5000 steps a day. Then 8000. By the end of week two I was doing the “10.” I have hardly skipped a day since then. One or two when felled by a bad cold. One or two when I had to work late. My average over the past three years is 10,871 steps per day. My best day was June 12, 2016 when I logged 28,279 steps. I remember that day. I decided to walk to my hairdressers 4 miles away and then back home the long way around. Everyone should do that at least once in their life. Only once though. Your newly cut and styled hair will look like training grounds for a Nor’easter by the time you get home! I have walked 11,903,745 steps in three years. Rutland, MA is littered with my footprints. I have left a few in Iceland, Ireland, Italy, Connecticut, California, Florida, Georgia, New Hampshire, New Jersey, New York, Oregon, Rhode Island and Texas too. I have walked about 5700 miles. As the crow flies, I could have walked well past Cairo, Egypt; N’Djamena, Chad; or Montevideo, Uruguay. On the other hand, I still have 40,388,355 steps to go before I can claim to have walked the same distance as our earth’s circumference. I’m going to go for it though. Maybe for real. Around the equator. What a trip that would be! Want to come? Thank you Tocci for my first FitBit. It has been one of the best gifts I have ever received-the gift of getting fit.